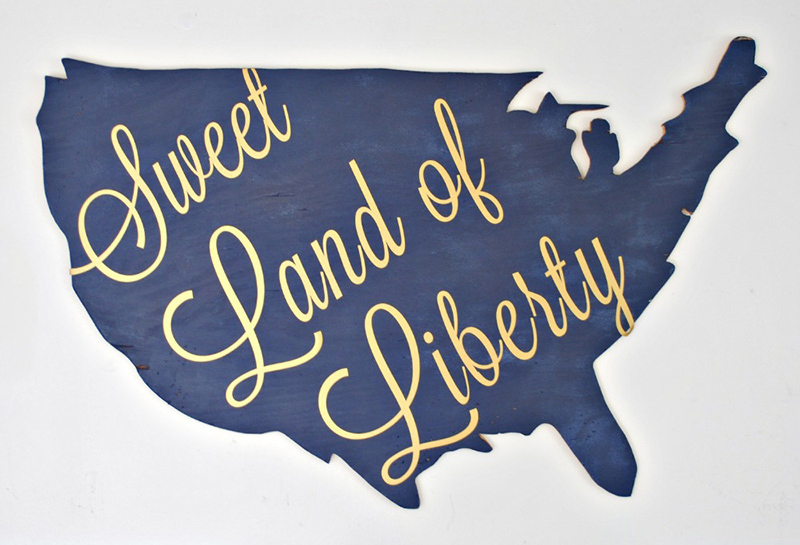 Decorate your home this fourth of July with beautiful DIY wall decors. It is time of the year again when homes will be decorated with flags and other patriotic themed decors. There are many ways to do that. 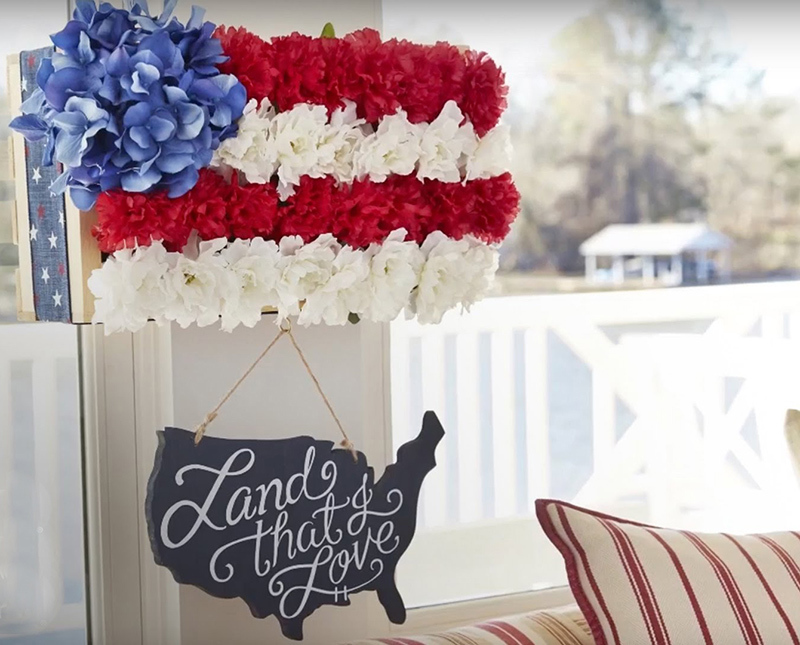 Others put up an actual flag inside or outside their homes while there are some who are more creative and would come up with a decor that is in line with the theme. Decors also vary from wall arts, votives, centerpieces and many others. 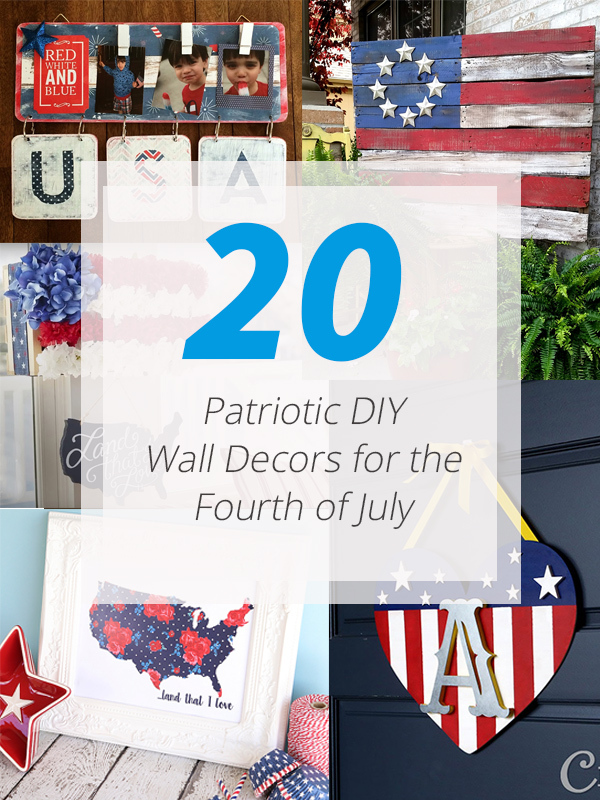 But today, we are going to show you a list of DIY wall decors with patriotic themes. 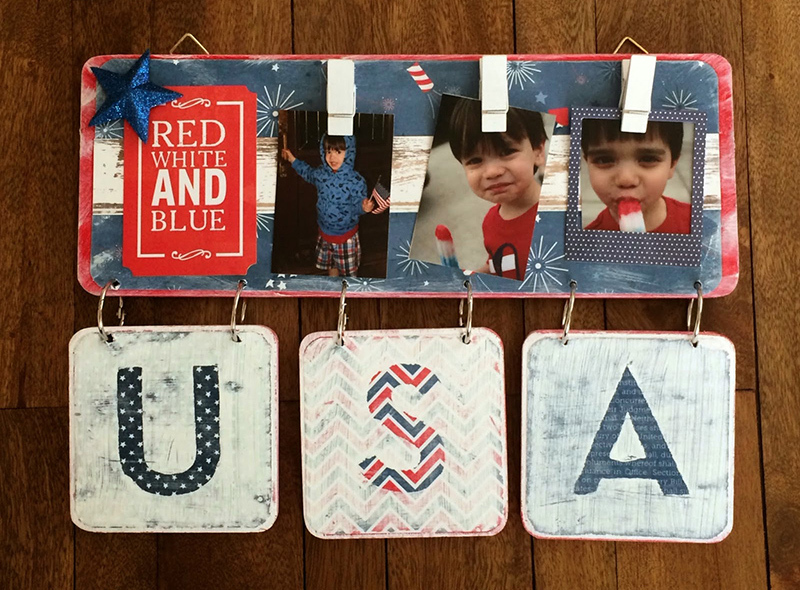 In order for you to add more beauty to your walls this fourth of July, you can add a wall decor that you have made. The easiest way to do that is to make buntings or search for a free printable online and frame it. But there are also more creative and fun ways to make this type of decors and we are going to show you that today. 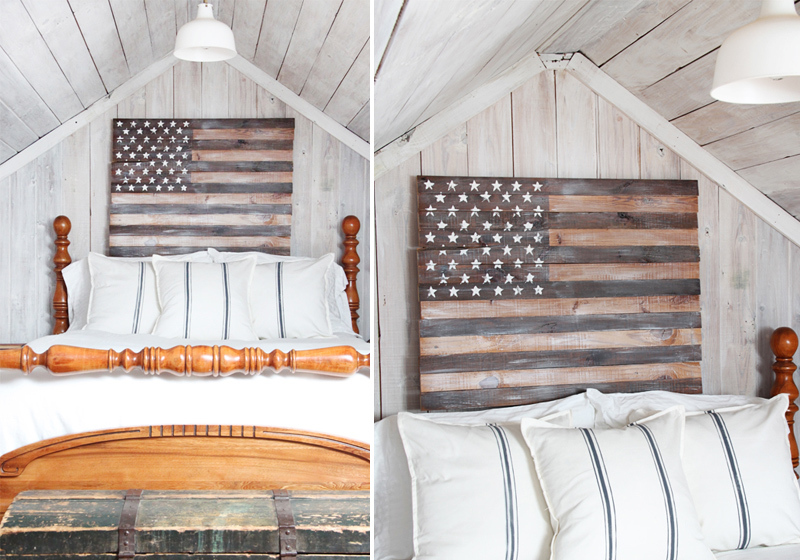 This includes the use of different materials like a pallet wood, paint chips and many others. You can actually make something from whatever you have at home. Now let us check this list of DIYs and in the end, tell us which of this you would love to try making. 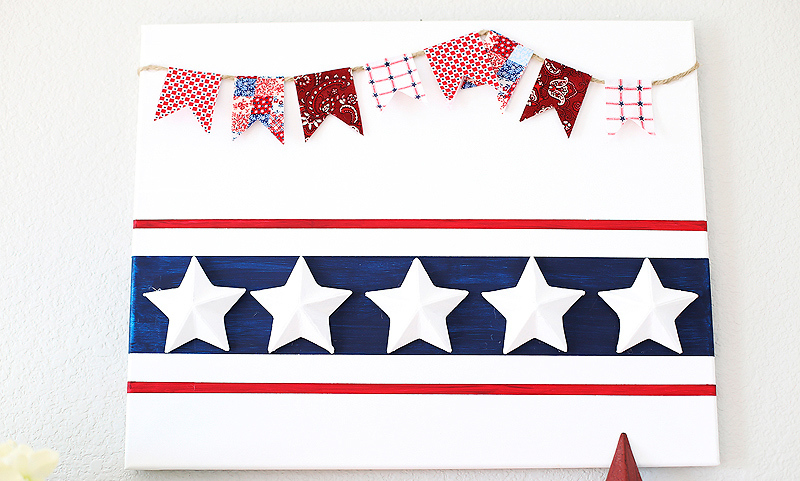 Using a canvass, you can create this beautiful home decor by painting it with stripes and adding paper mache stars. To make it even more creative, you can add some fabric bunting too. This monogram would make us think of Captain America because of its colors and the letter A. You can watch a video tutorial on how to come up with a design like this. Using a pallet, you can make a sign like this one. If you have the talent in lettering, then do it with a pen or a brush but if not, you can also use a stencil like what the designer used in here. 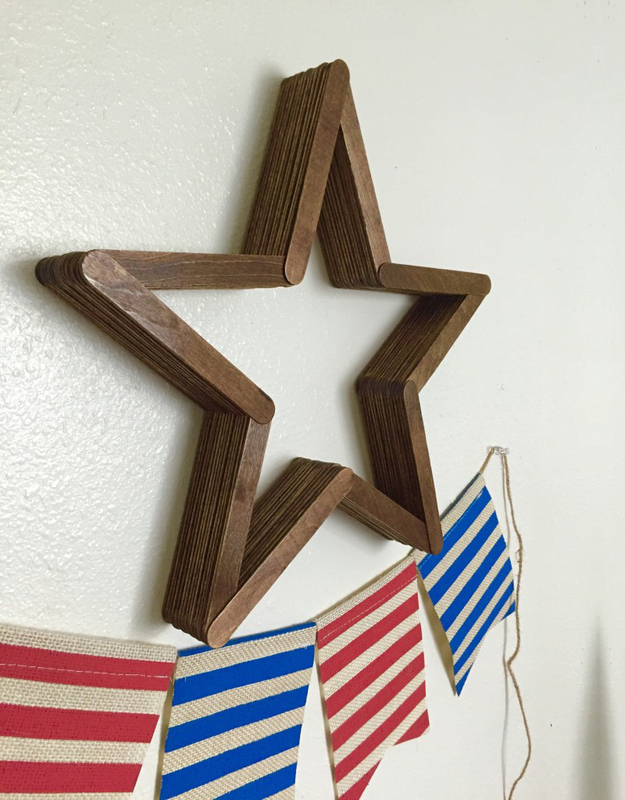 Using popsicle sticks, you can make a star like this one. 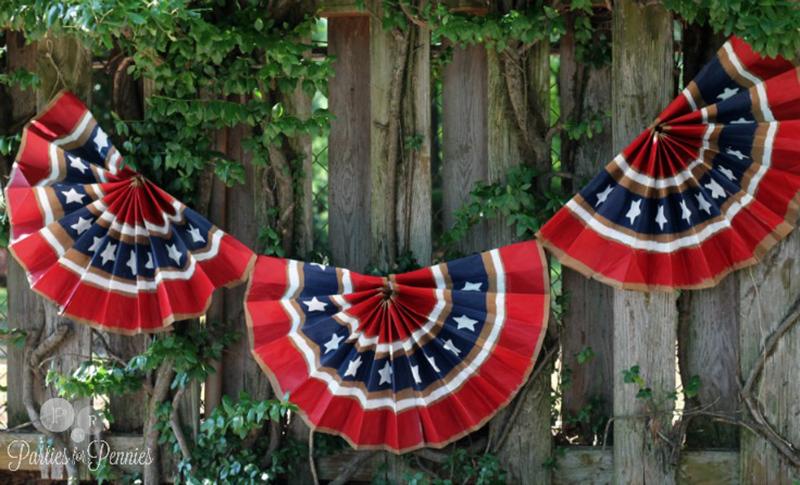 Just glue them together and you’ll come up with a beautiful decor and add some buntings too. 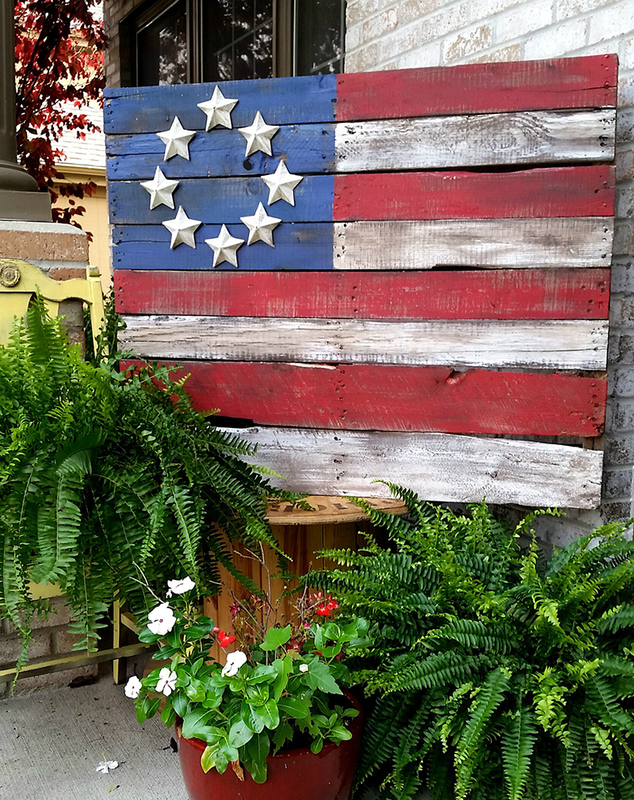 A wooden pallet flag painted with the colors of the American flag. Paper Mache stars were added to it. For this one, you would need the printable from Surviving A Teacher’s Salary then buy a bunch of red buttons and glue them on the sheet to make a created star themed wall decor. Got paint chips that is no longer in use? Why not make these wall decors for your home? 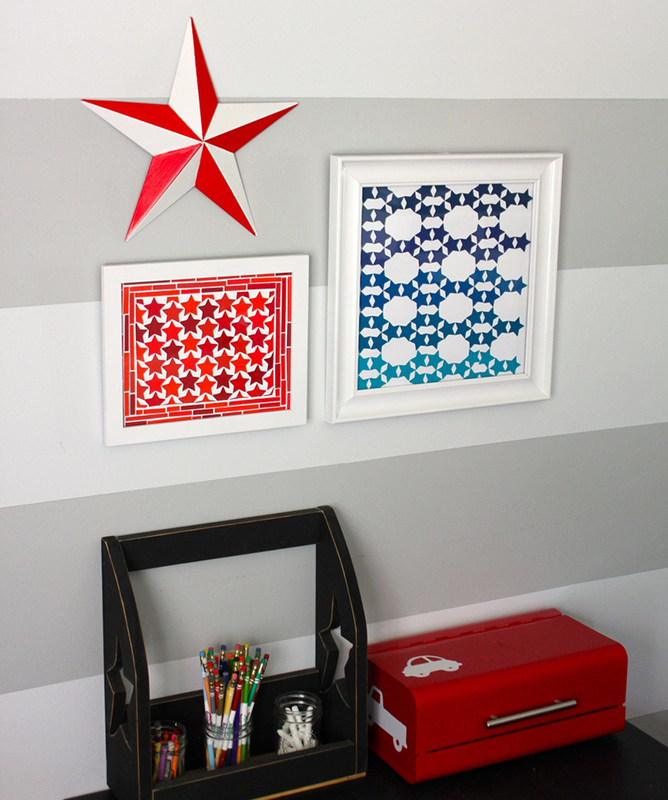 Or if you don’t have paint chips, simply print the stars and put them together! 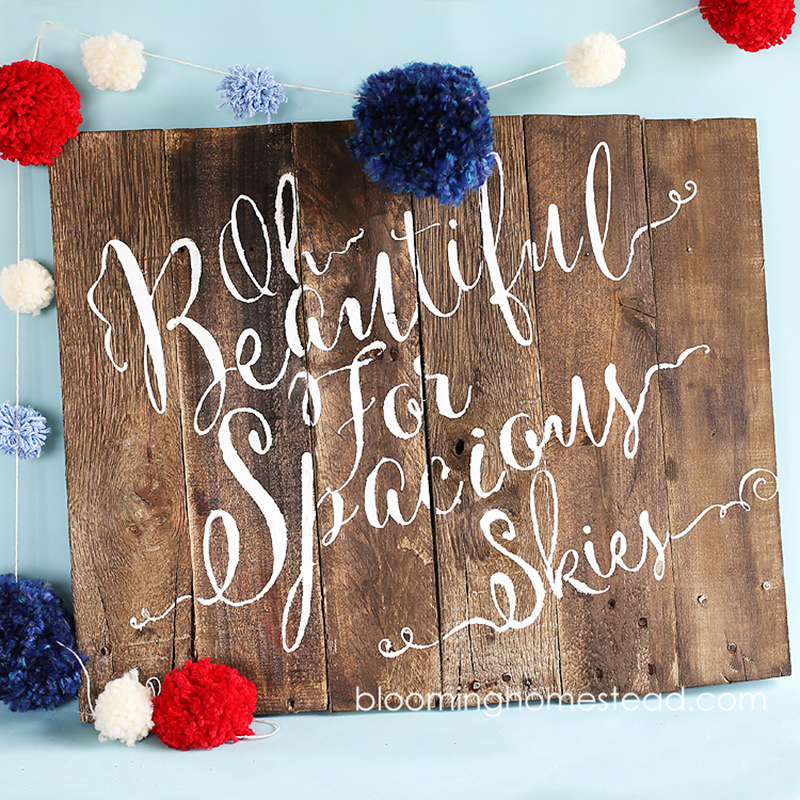 Looking for something to print and frame as a decor this fourth of July? 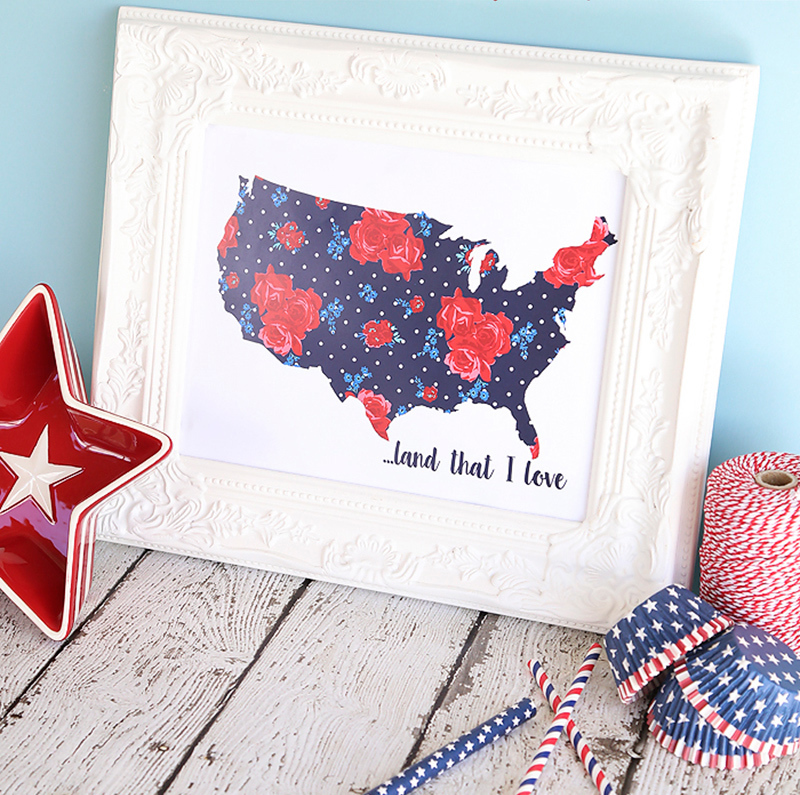 Then check out this printable from Blooming Homestead and put it in a beautiful frame. It is amazing that you can actually make something out of an old window like this one. 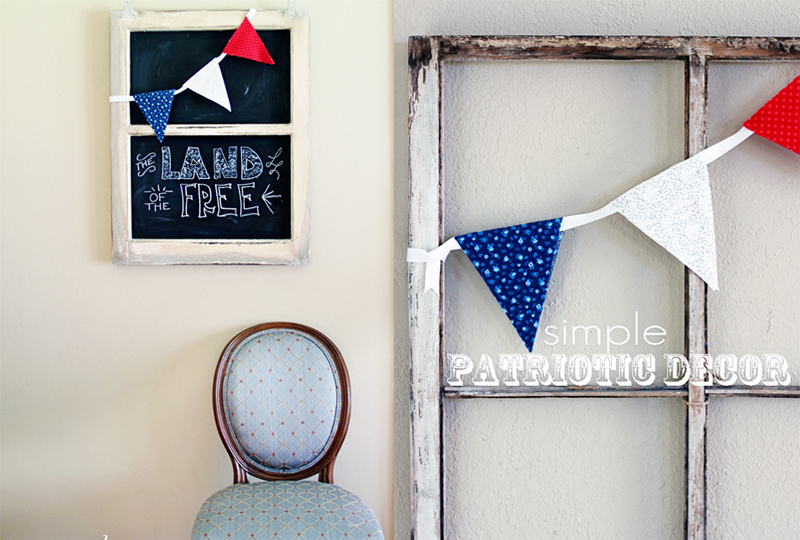 Just attach it to a chalkboard where you can write and add some buntings too of red, blue and white colors. Believe it or not, these decors are made from paper bags and once you see how this one is made, you’ll be amazed of how easy it is to make one! Cut plywood to a shape like this one or I guess you can also use cardboard too. Then add these letterings to it or other wordings that you can think of. I can tell that both of these decors were handmade and that some stenciling was involved. Check out how this was created through The V Spot Blog. Got some burlap? 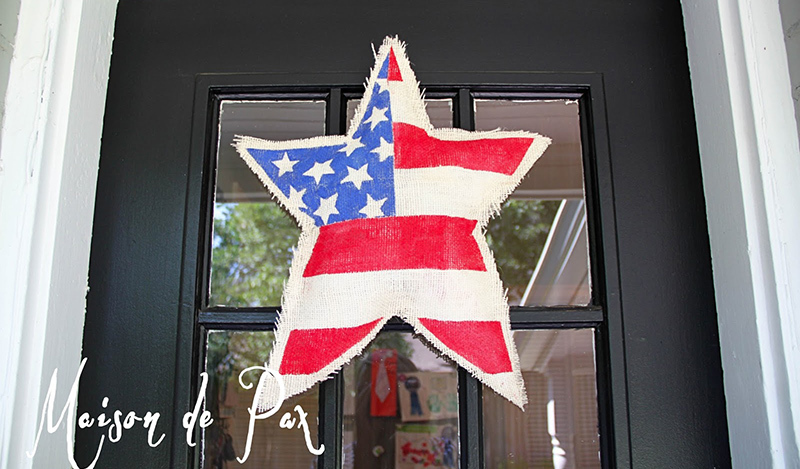 Make this shabby chic patriotic star decor in a few easy steps. Guess you can also use a different kind of fabric as well. 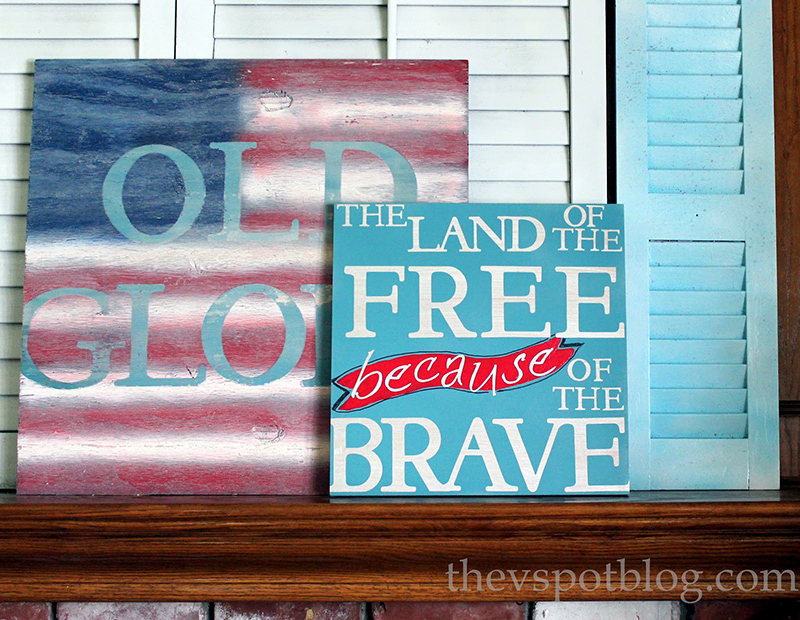 This plywood flag was added to a mantel along with a framed decor with patriotic words. 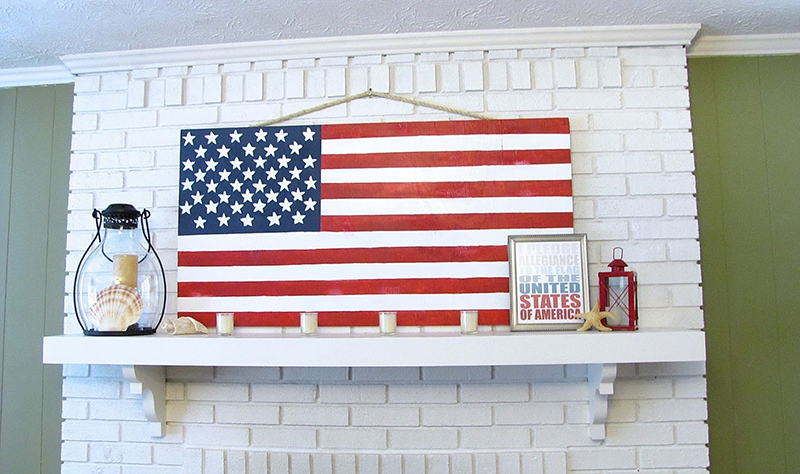 Well, it is easy to make that flag where you will use painter’s tape, star stencils and of course, paint. 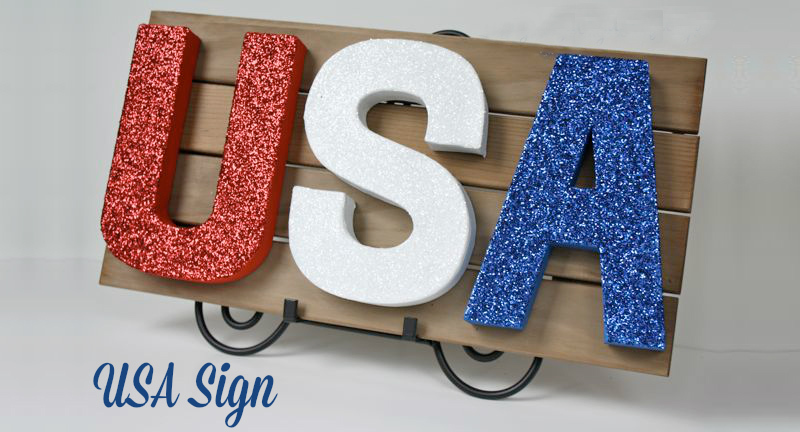 Add some sparkly glitters to some letters and put them together on a pallet. To give it that patriotic feel, use the colors red, white and blue. This one is so cute! Gather up different flowers that are blue, red and white then add them to a wooden crate with floral foam. Finish the look with a hook where you can hand a sign. Planked wood is used for this one which has a distressed appeal but it does look really nice and fits the design of the bedroom. 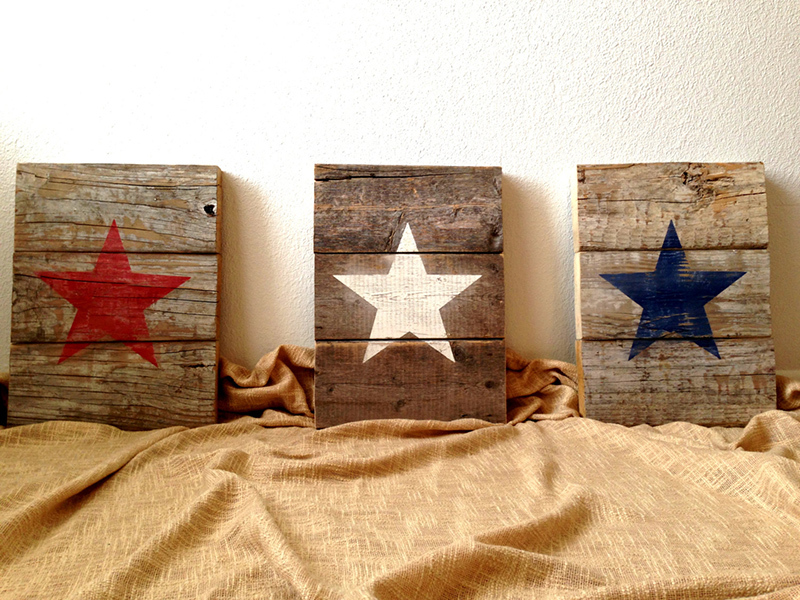 Another wall decor that made use of pallet wood but this time stars were added to it with the patriotic colors of USA. You can be more creative by making a wall decor like this one. Aside from the words USA, you could also add pictures to it. For this one, you can actually use a different pattern for the map if you plan on cutting the form but the easier option is just to get the printable from Blooming Homestead. 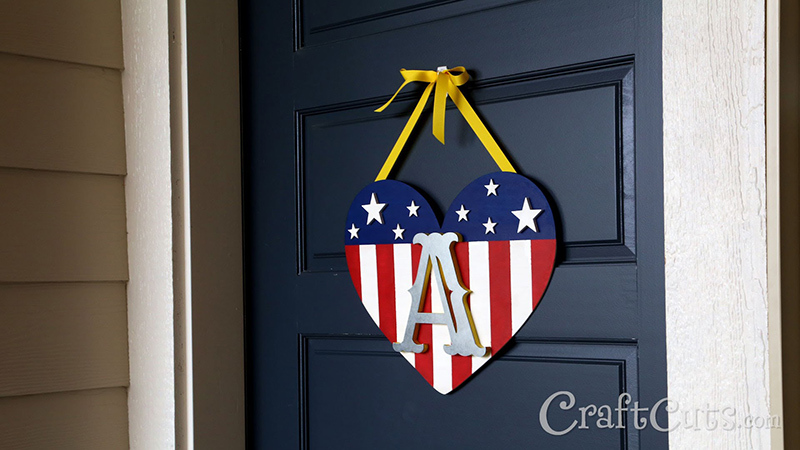 So if you are feeling crafty, go ahead and make one of the above decors that you can use for the fourth of July. 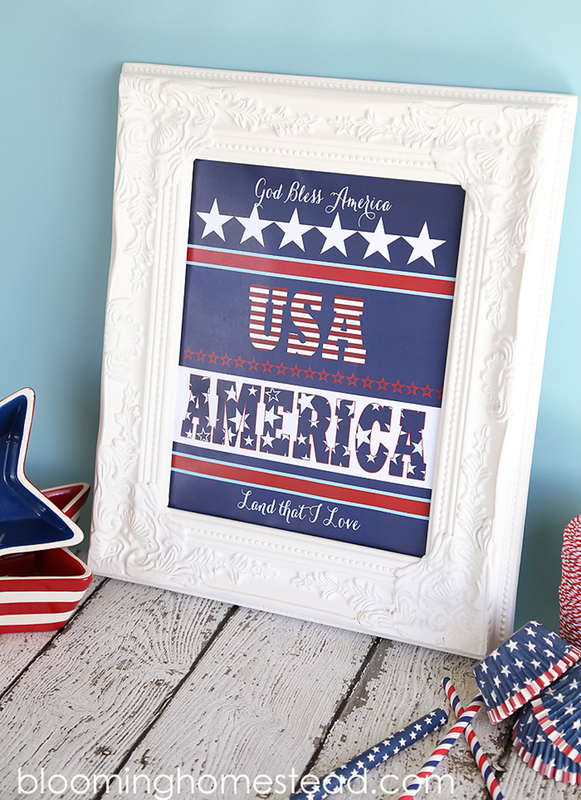 For sure, you will be able to make a beautiful home decor which isn’t just patriotic but also unique and personalized. Or you can also come up with other decors using the above DIYs as an inspiration. And what is amazing is that you can actually make anything from whatever items you have at home! Which of the above decors would you love to try making?